Dr. Jean Dermine is Professor of Banking and Finance at INSEAD and director of the INSEAD Strategic Management in Banking and Risk Management in Banking senior executive programs. 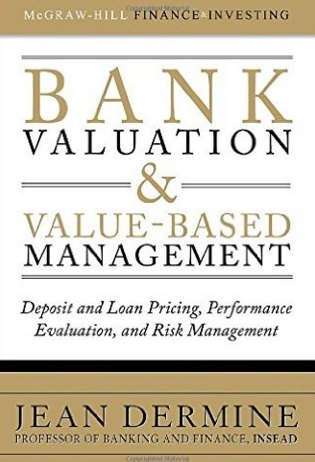 Author of numerous articles on banking and Asset & Liability Management, Jean Dermine has published five books, including Bank Valuation and Value-based Management (deposit and loan pricing, performance evaluation and risk management), McGraw-Hill, NY, 2nd edition, 2015 (with translation in Chinese and Portuguese-Brazil). He is co-author of ALCO Challenge, a computer-based training simulation used in Europe, Africa, the Americas, Asia, and Australasia. His work has been profiled in the international press, such as The Economist, Financial Times, New York Times or Wall Street Journal. As a consultant or director of training programmes, he worked with international banks, auditing and consulting firms, national central banks, European Central Bank, Bank for International Settlements, HM Treasury, the OECD, the World Bank, the European Commission, and the Mentor Forum for the US Supreme Court and the European Court of Justice. Jean Dermine is the founder of the INSEAD Centre for International Financial Services. His current research deals with long-term value creation and risk control, asset & liability management (ALM), bank valuation, Basel III, fund transfer pricing, credit risk and loan-loss provisioning, and pitfalls inherent in RAROC-type methodologies. Explain banking issues in a crystal-clear manner.